It is the 22nd of the 12th month. That’s a lot of twos! 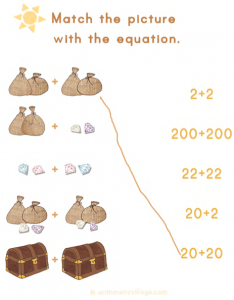 When your child first starts working with numbers, they need to understand what they are adding or subtracting. Treasure chests, sacks and jewels help make the amounts clear in Arithmetic Village. 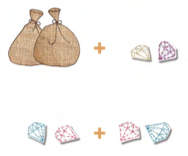 Here is a quick little activity to see if your child understands the concepts clearly, or might need a bit more practice with the actual jewels, sacks and chests.